Braving weeds and hungry mosquitoes, Historical Society members made a trip to the hidden Gridley Pioneer Cemetery in July of 2010. A school, a cemetery, a ball field, a restaurant…these are just a few of the things in Long Grove that have used the name Gridley. It all started back in 1835 when John and Nancy Gridley and their six children (Elisha, George, John T., Elizabeth, Mary Ann, and Louisa) boarded a steamer, then a canal boat, and finally a wagon to make their way to where Long Grove is today. Why move into the wilderness from their “civilized” home in New York? John had a leather tanning business out East, but due to the poor economy in the mid 1830’s thought he would try his hand at farming. So the Gridley family went to where good land was available–Illinois. John and his sons built a home from logs and began laying out roads. Hard to imagine Long Grove without any roads, let alone traffic, isn’t it? The Gridley School was built in 1838 and was the first in the area. Two of the school teachers eventually married into the family as brides to sons Elisha and George. Nancy and a few other women who had moved into the area started the first church (also a log structure) in Lake County, what is now known as Ivanhoe Church. Sons George and John tried their luck in the Gold Rush of 1849 and relocated to California. When things didn’t “pan out” as they had hoped, the men returned to Long Grove. Son Elisha built a dramatic mansion near the intersection of Oakwood Road and Rt. 83 called Endwood. This was later turned into a resort called Oakwood at the turn of the century. The mansion no longer exists, as it was demolished in the 1940’s. 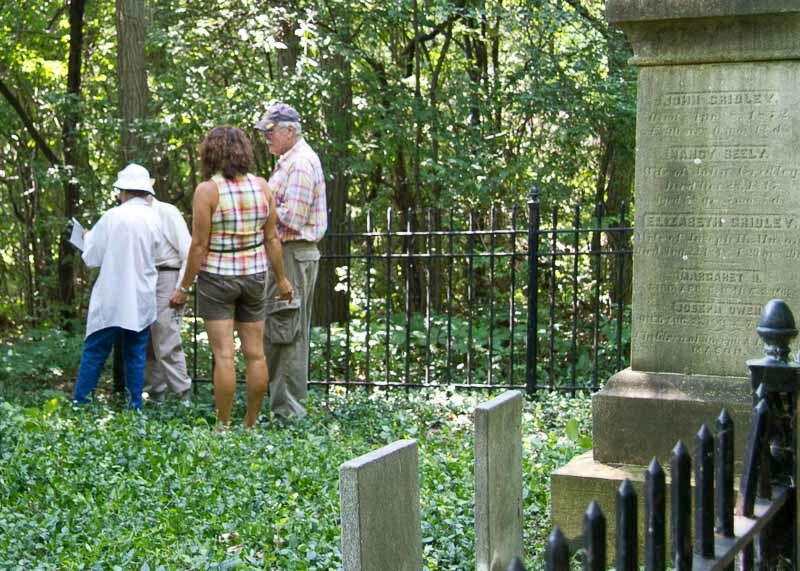 Many of the pioneering family members are buried in the Gridley Cemetery, which is maintained by the Long Grove Historical Society. Thanks to my friends in the Historical Society for helping me research and fact-check this. Our local group survives on donations and volunteers and is a great resource for those wanting to know more about our Long Grove history. Check them out at longgrovehistory.org. Primrose School of Long Grove Director Sarah Simon and Franchise Owner Rich Wierzchon joined me at the March 15, 2016 Rotary Club meeting. One of several new businesses currently under construction in our village is Primrose School of Long Grove. Located on Old McHenry Road just north of Route 22, Primrose will offer educational child care for infants & toddlers, and preschool, kindergarten, and after school programs. 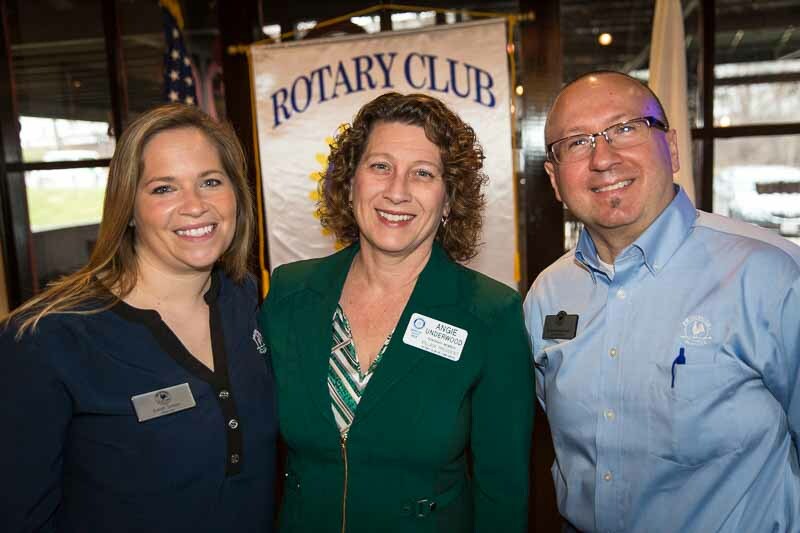 In anticipation of welcoming their first students later this summer, Director Sarah Simon and Owner Rich Wierzchon attended the recent meeting of the Rotary Club of Long Grove, Kildeer, and Hawthorn Woods to give an informative program. I have had the pleasure of meeting Sarah and Rich previously, so I already felt I had a basic knowledge of the new school. But I was impressed to learn more about the Primrose Promise. Using expertise and passion, this company is determined to make a difference in children’s lives; not just those who attend our Long Grove school but for some of America’s children at greatest risk. The Primrose program incorporates a strong character development component. Through fun activities like arts, games, and role playing, the children learn values such as honesty, compassion, respect, and good judgement. They participate in community-minded programs such as Save the Children sponsorship and a local “adopt-a-grandparent” partnership. One of the values that I particularly like is the Primrose commitment to giving without expectation. In today’s world, it is especially important to learn that serving and caring for others is what we do as good citizens, without expecting something in return. Children, families, staff and owners join together to support local charities and the Primrose Children’s Foundation, a non-profit that partners with national charities such as Reach Out and Read. Rich Wierzchon told us a moving story about the motivation for him and his wife Jenny to start this particular business at this particular time. Jenny is an experienced teacher who followed in the footsteps of her mother, a life-long educator. The entire family believes strongly in the character-based education Primrose will provide, and the opening of this school is being done in part to honor the legacy of Jenny’s Mom, who recently passed away. I believe Primrose School will fit right in to compliment the high-quality education already available in our community. We will all look forward to the completion of construction in the months ahead and welcoming another new business to our Village. And I promise to come visit our little philanthropists and citizens of tomorrow! 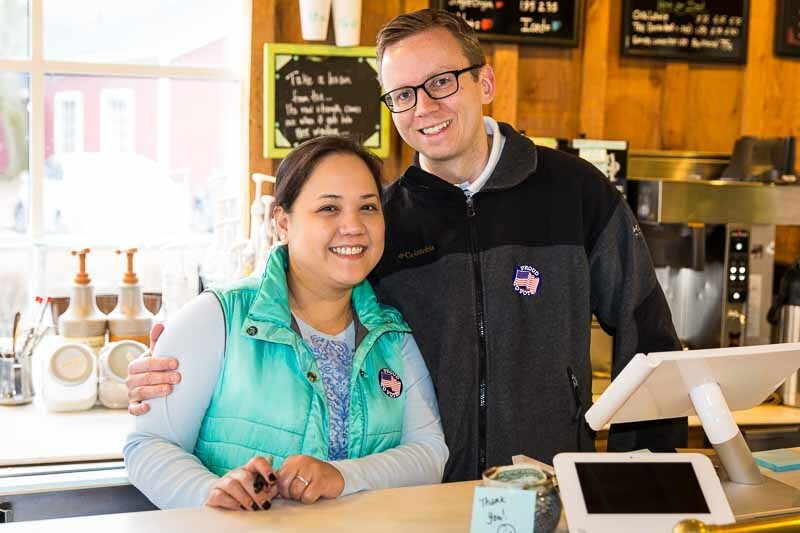 Ethel and Tim Berger, owners of Beans & Leaves in downtown Long Grove, cast their votes today. I hope you were one of the many citizens who participated in our Illinois elections today. After casting our votes, my husband Aaron and I treated ourselves to a favorite drink at our local coffee shop, Beans & Leaves. Owners Ethel and Tim Berger had been to the polls also; bright and early so that their daughters could witness Mom & Dad exercising their democratic rights before the school day started. It was great to see so many Long Grove residents taking part in the process today. Voting was a little bit quicker and easier this year as Lake County has utilized some technology to streamline the check-in procedures. Ethel told me this morning that in years past when her mother voted in the Philippines they placed dye on one of her fingers as proof of participating. I’m so grateful that I live in a time and place in which my manicure does not have to be sacrificed for the right to vote! However the votes add up tonight, we have all had the opportunity to let our opinion be counted. And something tells me that whichever candidate comes out on top, this Presidential race will continue to be quite interesting in the months to come! Members of the McNulty Irish Dancers get ready to perform on March 12th at Paddy’s on the Square. It seems that everyone is a little bit Irish on St. Patrick’s Day. This weekend the Chicago river was once again dyed an emerald shade of green and parades were enjoyed by those of true Irish heritage as well as those who were simply Irish for the day. 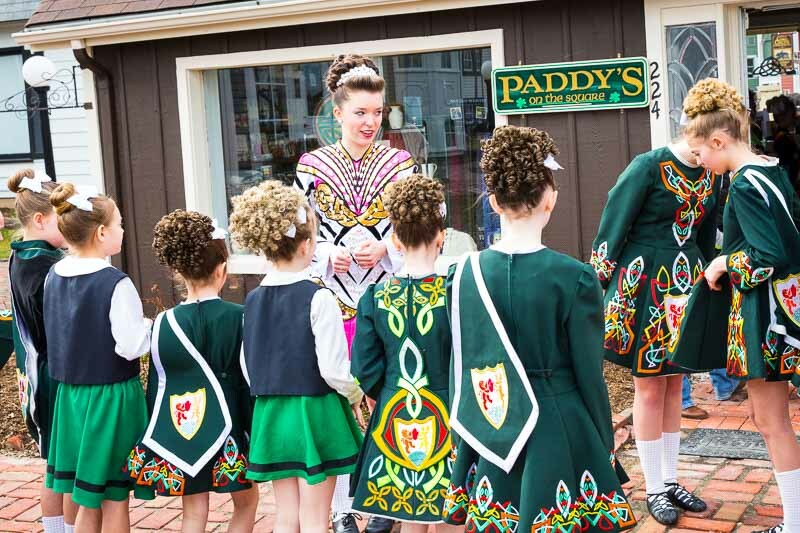 Here in Long Grove, we hosted a performance of the McNulty Irish Dancers, courtesy of Paddy’s on the Square. The party continued with live music at the Village Tavern and traditional corned beef and cabbage, washed down of course, with green beer. The weather was perfect on Saturday for the dance performance, and their lively routines and colorful costumes really brightened up Fountain Square. As my maiden name is Killian, you can correctly assume that I love St. Patrick’s Day. In an earlier blog post I talked about my heritage on my mother’s side, including an ancestor who served as Mayor of Bloomington, Illinois. On my Dad’s side I also have many relatives who were and are public servants. Several McLean County, Illinois townships, municipalities, and school boards have been blessed over the years with Killian wit and wisdom. But the trait that I mostly blame on my Irish genes is my curly brown hair and green eyes! We are lucky to have two Irish shops here in Long Grove, both owned for many years by the same family. They are go-to spots for me when I need something beautiful for a wedding, birthday, or special occasion gift. If you’ve ever traveled to Ireland, one step inside Paddy’s or the Irish Boutique will bring back a flood of vacation memories. Stores like these and the Village Tavern are what make our historical downtown unique, and what makes St. Patrick’s Day special in Long Grove. This week, and every week of the year. Junior and Cadette Girl Scouts helping me proclaim National Girl Scout Week in Long Grove on March 8th, 2016. NOW, THEREFORE, BE IT RESOLVED that I, Angela Underwood, past Girl Scout and Girl Scout Leader and now Village President of Long Grove do hereby recognize National Girl Scout Week, March 6th-12th, 2016, and declare the same as official Girl Scout Week in Long Grove. 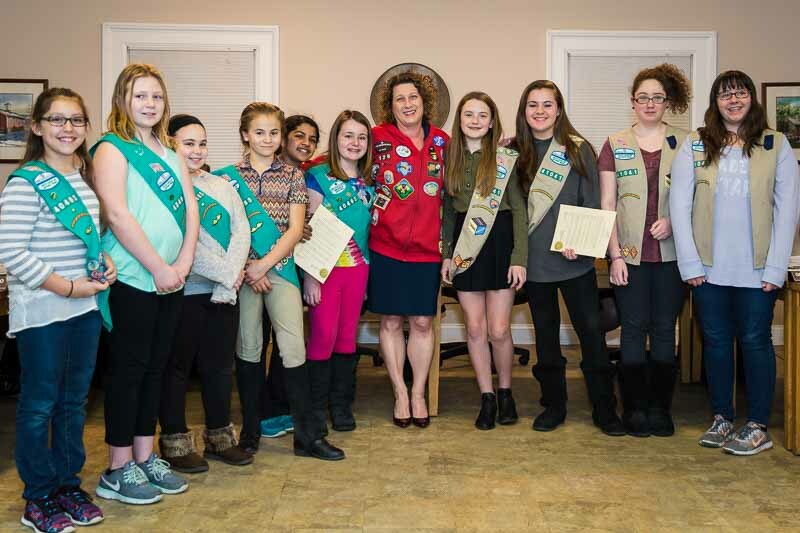 FURTHER, I urge all citizens of Long Grove to join me in recognizing the achievements and leadership of our local Girl Scouts and volunteers; thank them for their valuable community service and encourage the future success of this organization. Sharing my love of reading with the students at Green Bay Early Childhood Center. 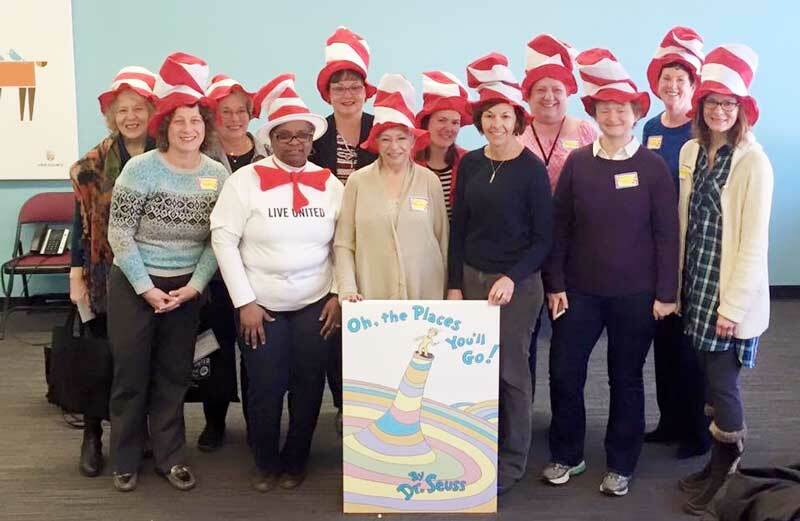 In honor of Dr. Seuss’s birthday this week, schools across America have been visited by red & white striped hat-wearing volunteers sharing their love of literacy. 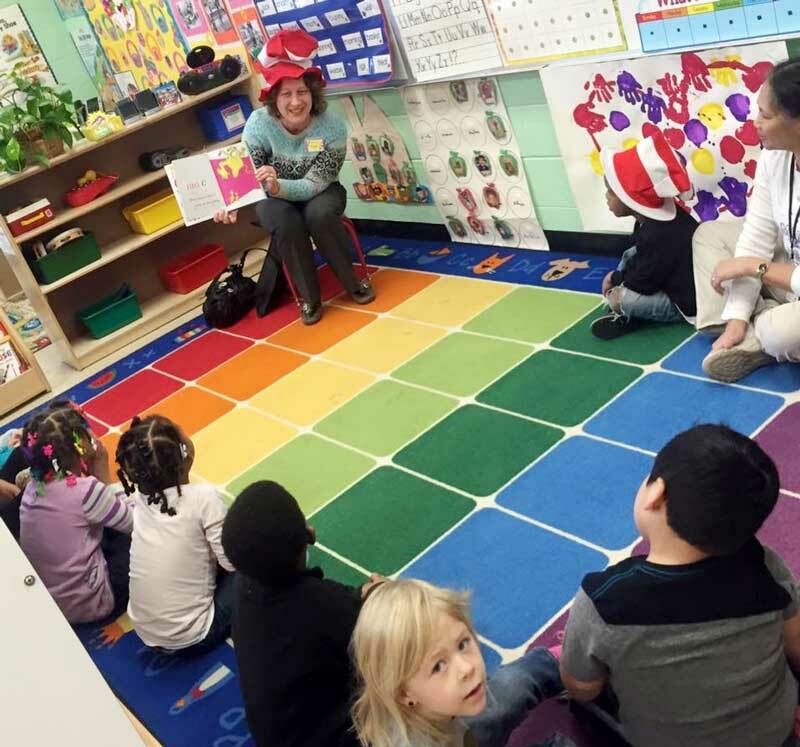 Today I had the delight of donning such a hat and reading to a preschool class at the Green Bay Early Childhood Center in North Chicago. And let me just say, this early morning dose of cuteness was much more invigorating than a triple shot latte! My involvement with this particular school comes as a by-product of being a member of the Women’s Leadership Council of United Way of Lake County. WLC has recently partnered with Green Bay Early Childhood Center to fund a community resource center that will be used to help get as many kids as possible ready to start kindergarten with the necessary skills. This morning our “crew of crazy chapeaux” had a tour of the school and the space we are helping to create which will be shared by Head Start families as well as residents of the local school district. By dedicating time and money now to improve early childhood education in some of the most at-risk areas of Lake County, we are making a significant investment in our workforce and families of tomorrow. When I was a child my favorite Dr. Seuss book was “Green Eggs and Ham.” When my kids were little, the title they asked me to read over, and over, and over was “Fox in Socks,” mainly to see if they could catch me up in the tongue-twisters! Today I had the pleasure of reading “Dr. Seuss’s A, B, C’s” to an adorable group of energetic 3 and 4 year old students, who could not have been more fun. David Brooks of the New York Times has noted, “By age 5, it is possible to predict with depressing accuracy who will complete high school and college and who will not.” By recognizing this need and addressing it head-on in the last 10 years, WLC and United Way of Lake County has seen a dramatic improvement of kindergarten readiness in Waukegan from 6 percent to 48 percent! That “Cat in the Hat” is more than just a sly comedic character; he is providing a spark that can lead toward improved literacy and a brighter future for all of our children. Volunteer readers and members of the Women’s Leadership Council of United Way of Lake County.